Are you thinking of having a wedding in the Florida Keys? Well, you’re in luck! We are here to help you out with helpful tips on how to choose your wedding venue. Most, if not all couples when they get engaged, start looking at where to get married. Should it be a local gathering, should it be a destination wedding, should it be a simple elopement? 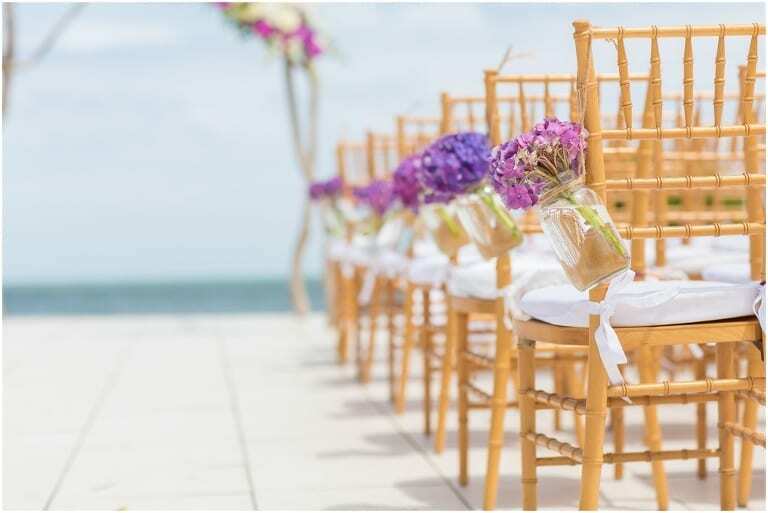 Don’t worry, in this following article, we will specify how to choose the perfect wedding venue in the Florida Keys! Theoretically, there are 5 different types of Wedding Venues in the Florida Keys. Now, except for Churches, all of them will have the ability to host ceremony and reception, but lets break these down in a little more detail. Private Houses are a pretty unique way to have a wedding and sometimes can be alot of fun. A private house for a wedding venue is usually rented (stipulated by the owners) between 5-7 nights at a time. Everything has to be built from the Ground up and offers a blank canvas to build yourself a masterpiece. Some pros are you can bring in your own vendors, bring your own alcohol, and really have a wedding week instead of a weekend or just a couple of hours. Cottages are similar to a private home. When we say cottage, usually we are referring to a smaller more intimate resort option, usually locally owned and operated. With a Wedding Cottage Venue, you can expect the same freedom as a private house, and, they are around 3-4 night minimums instead of 7 compared to private homes. You can still bring in your own vendors, and still paint the masterpiece. Just know, that with most cottages, you are responsible for any unused rooms that don’t get reserved. Resorts are going to be completely opposite compared to private houses or cottages. Resort Wedding Venues are more geared for that All inclusive option that couples are looking for. Especially for Destination Weddings. Food, Drink, Chairs, Tables, linens, staff, and the list goes on. Just some minor wedding vendors will need to be picked out and you should be good to go! Restaurants, similar to Resort Venues are perfect for a more smaller and intimate wedding. We usually suggest around the 50 and under guest mark for a restaurant wedding venue. Although there are some very large and beautiful restaurants that can accommodate. Restaurants will include everything and most of them will have live entertainment already there. Private Homes: These homes as mentioned above are week long rentals and can range anywhere from $8,000 – $17,000 for the entire week. Resorts: Resorts are around the same price in site fees as cottages. From $2,500 – $7,500. Restaurants: Usually run from around $500 – $10,000 site fees depending on the size amount and time frame you are looking for. Each venue, I don’t care what it is, will have a pro and con attached to it. Some are minor and some can be major. My goal is to tell you them and you decide what bothers you and what doesn’t. Now that you have an idea of what wedding venues are out there, and you have an idea of costs, and the pros and cons, this should help you make a more informed decision on how to choose a wedding venue. Which one should you choose? I have no idea. Each one is different in their own way and couples should choose based on their what they want and their needs for their guests. If booking a cottage or private home, check out some All inclusive packages to help get you started. I hope that you have made the right choice, and this article has helped you in your decision. After choosing your wedding venue, go celebrate, you’re having a wedding in the Florida Keys. After you celebrate, start looking at some reputable wedding vendors such as a wedding planner to help get you started.